This rectangle portable charger feasures a 2200 mAh Battery, USB Output and Micro USB. 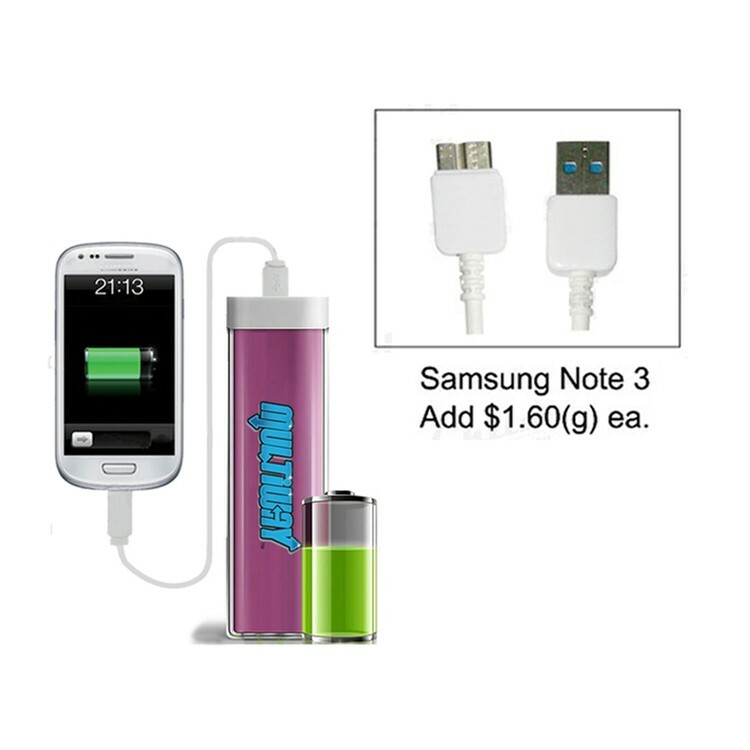 Charges iPhones, iPods, PDAs, Cell phones, MP3 Players and More! Your charger can now go mobile! 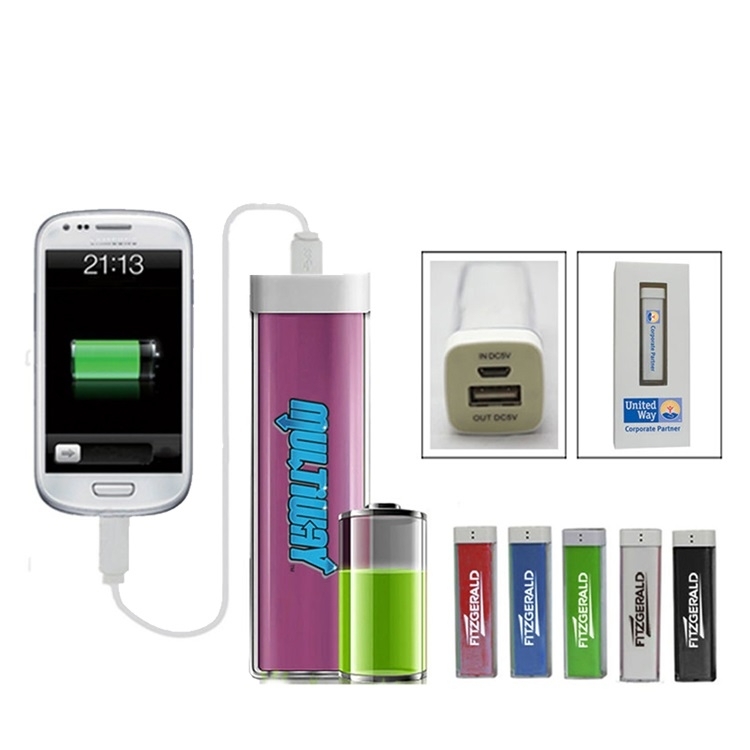 Take this compact charger with you anywhere and be able to charge your mobile devices while on the go! 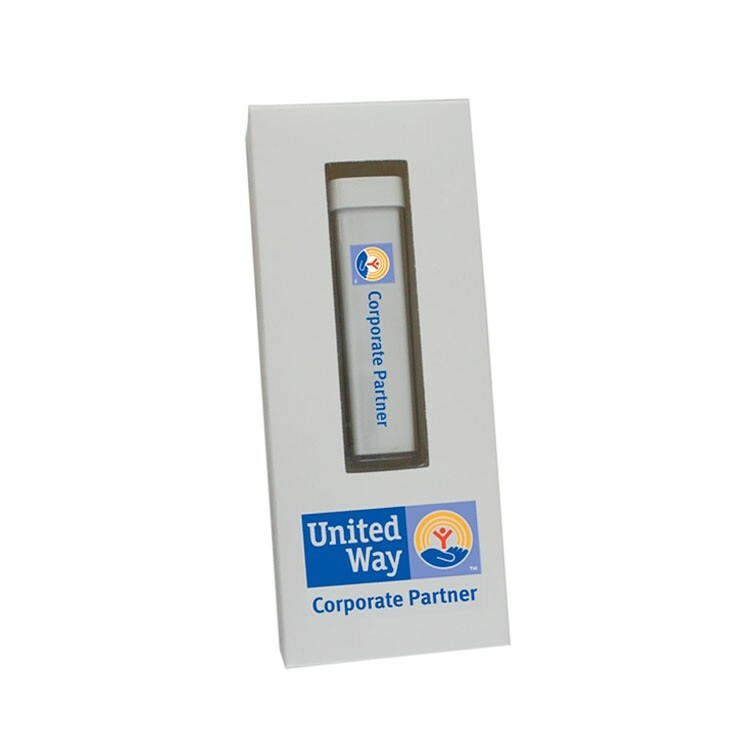 A functional and practical promotional giveaway for trade shows , office employees and customers. Price include a Micro USB cable. 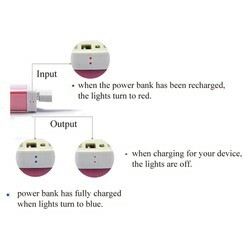 Input power: 5V/500mAh; Output power: 5V/1A. 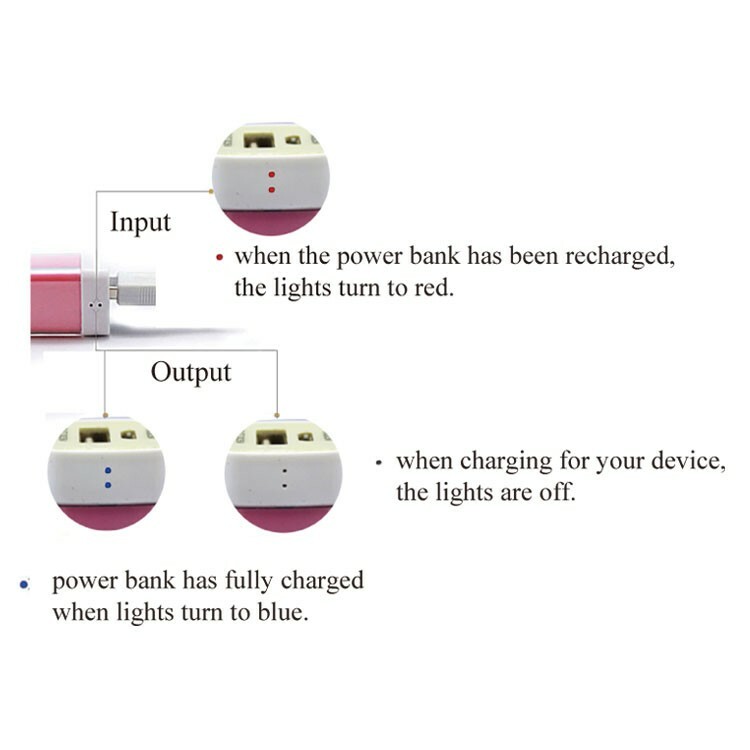 The charger is not able to charge your device & the power bank at the same time. 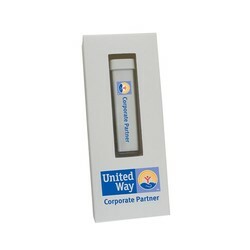 We can do full color process and Personalization on gift box. CE FC ROHS MSDS approved. 20 working days after all approvals. Add $0.80(g) ea. plus $50.00(a) set up.